Have you ever wanted to be a rampaging wiener? 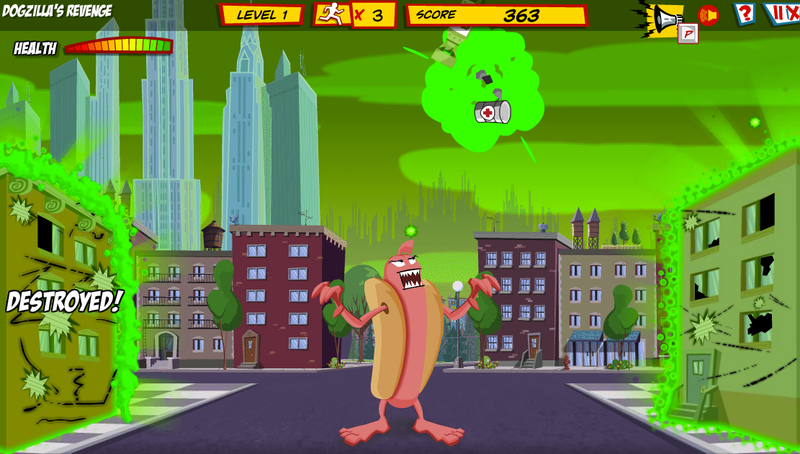 A misplaced chemical compound has turned an ordinary hot dog into Dogzilla — the frantic furter of Chowtown! Do we try to stop this RAMPAGING WEINER bent on UTTER ANNIHILATION!??? No way! Let’s join him!! 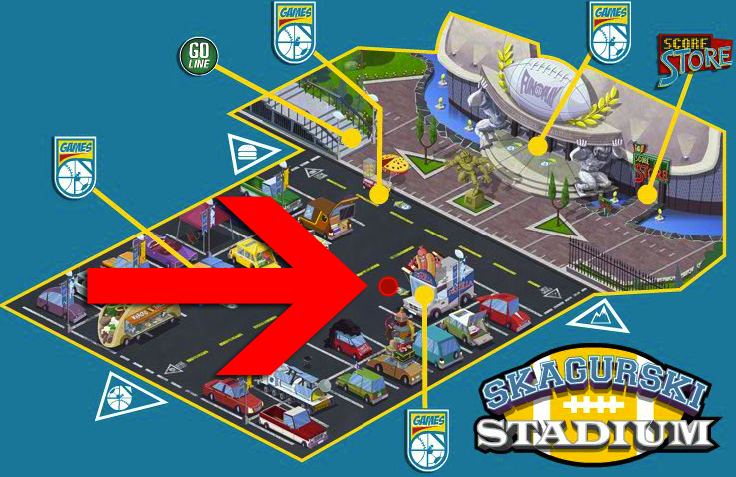 Our BRAND NEW single player game DOGZILLA’S REVENGE can be found in the new Skagurski Stadium or in Chowtown – YOU take on the role of this psychotic schnitzel! It is up to you to pulverize Chowtown before the FGP Civil Defense Force can bring you down. WILL YOU EVER BE STOPPED? Posted by fungoplay on October 28, 2011 in Games!.